This was a fierce battle for the title of 2018 Readers’ Choice Performer of the Year. Over the past 2 days, the top three nominees all spent time in the top spot. The race was very close until just a few hours ago when a final surge of votes secured the title for our ultimate winner. The Staff Choice Performer of the Year contest was much less heated with the ultimate winner taking the lead very early on and never losing the spot. Alycia Debnam-Carey was the first ever winner of Performers of the Month way back in 2016 and every year since she has won at least once. She is also the first performer in the history of the feature to win for portraying two different characters on two different shows. This title is her first ever Performer of the Year win. SpoilerTV readers have bestowed this honor upon her for her haunting performance in the fourth season of AMC’s Fear The Walking Dead. 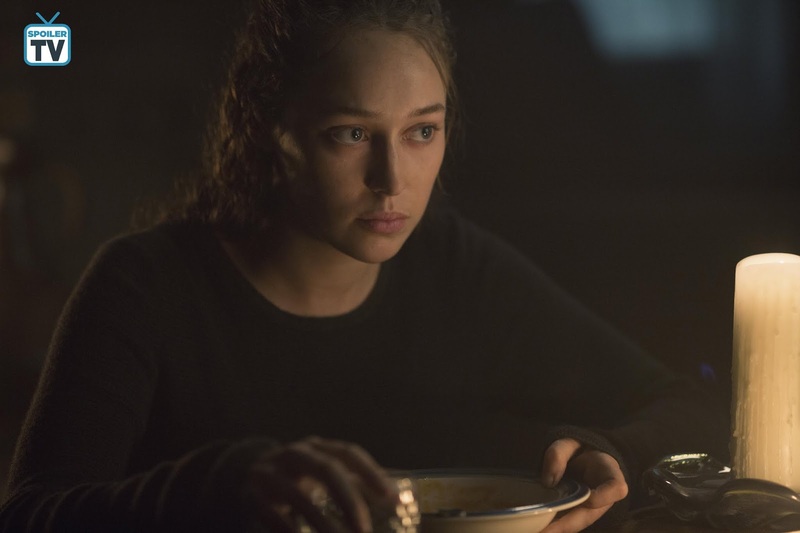 This was a season of change for the series as well as Debnam-Carey’s Alicia Clark. Alicia suffered monumental loss and more trauma than any one person should have to endure, all of which gave Debnam-Carey some truly powerful material to work with. The writers entrusted her with some dark heartbreaking storylines and true to the gifted actress she is she charged into every performance with so much commitment that it was impossible to not feel Alicia’s pain and heartbreak. It was also impossible to not root for Alicia on the rare occasion things were actually going right. It is a testament to Debnam-Carey’s talent that she can make the audience care so much about her character. Alycia Debnam-Carey is SpoilerTV’s 2018 Readers’ Choice Performer of the Year. Early last year a unique show debuted on BBC America taking television by storm. Killing Eve is the complex study of a woman’s psyche and a thrilling cat and mouse game between an MI6 agent and a warped female assassin. 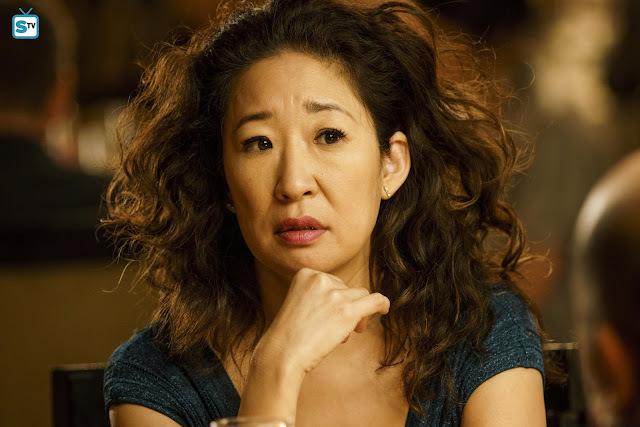 The show soon became a fan favorite and its star, Sandra Oh, quickly garnered praise for her portrayal of Agent Eve Polastri. Oh gives an incredible performance, far removed from the character she portrayed on Grey’s Anatomy, and she has deservedly become an awards magnet this season for the show recently winning both the Golden Globe and Television Critics’ Association award for outstanding lead actress in a Drama Series. Now she can add SpoilerTV to the list of those recognizing her amazing work on Killing Eve. 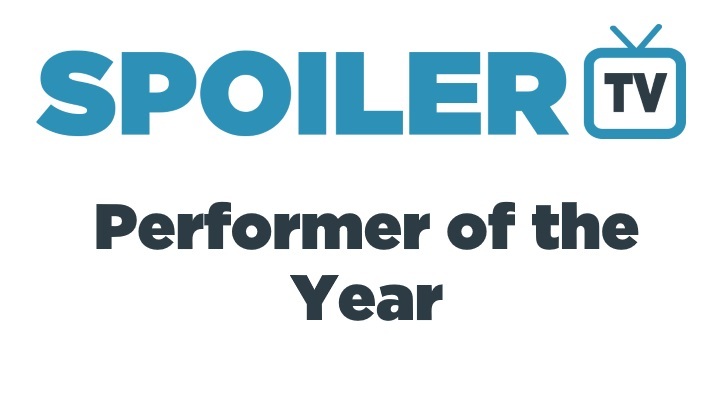 Leading the staff voting from start to finish, Sandra Oh has been rightfully crowned SpoilerTV’s 2018 Staff Choice Performer of the Year. Alycia Debnam-Carey and Sandra Oh’s winner articles will be released by around mid-February. Their articles will look back at some of their best work in 2018. When we have a firm release date for the articles I will be sure to announce it on Twitter, so keep an eye out for that. In the meantime, feel free to use the comments section to discuss these two brilliant winners and their incredibly talented fellow nominees. As always, thank you to every person who participated in Performers of the Month throughout 2018. Thank you to every reader who took the time to nominate performers and vote for them every month. Thank you to all those who comment on the winner articles and help spread them around. A very big special thank you to my fellow SpoilerTV writers who are always excited to participate in writing the winner articles every month. A huge thank you is due to DJRiter who takes the thoughts and observations of multiple writers every single month and turns them into cohesive articles. It takes each and every single person to make POTM what it is, so THANK YOU! Next up is the 2019 cycle of Performers of the Month. The January 2019 nomination round begins on February 1st, so be sure to come back and make sure the best performers of January have a chance to be recognized. All 2019 winners will earn a place in the 2019 Performer of the Year poll next January. After an incredible year of Performers of the Month it is time to determine which of the winners will be crowned as the 2018 Readers' Choice Performer of the Year. This poll will only run for 48 hours, ending on Monday, January 14th at 6 pm ET. The winner of this poll will receive an article looking back at their best performances throughout all of 2018. Now comes the hard part where you can only vote for 1 performer. The poll will be live until Monday, January 14th at 6 pm ET. After you vote be sure to make a pitch in the comments section for what the performer you voted for most deserves to win.